In the latest campaign against Verizon, T-Mobile announced “Get Out of the Red,” an easy path to follow if you are absolutely done with Verizon. Specifically for iPhone and Pixel users (iPhone SE, 6s, 6s Plus, 7, 7 Plus, Pixel, Pixel XL), where the phone will work just fine on either carrier, you can make the switch to T-Mobile and bring your phone with its existing phone number. Better yet, if you owe money on the device or a set of devices, regardless of how much you owe, T-Mobile will pay it completely off for you via a digital prepaid MasterCard. The only kicker is, you have to sign-up for a $15/month device protection plan, which is actually an industry first when it comes to a carrier willing to insure a used device. Furthermore, if you have a family or a lineup of devices you want to hook up with LTE connectivity, T-Mobile is offering four T-Mobile ONE voice plans for the price of three, which is a yearly saving of up $240. So, not only are you switching to T-Mobile with its unlimited plan and paying off your iPhone or Pixel devices, but you’re also getting a free line of service if you sign-up for at least two ONE plans. For all customers, T-Mobile also announced that it is upping its prioritization threshold to 32GB, instead of 30GB. That’s 10GB higher than Verizon’s current threshold on its unlimited plan. If you aren’t on Verizon and have Sprint or AT&T, don’t worry, T-Mobile has an offer for you, too. 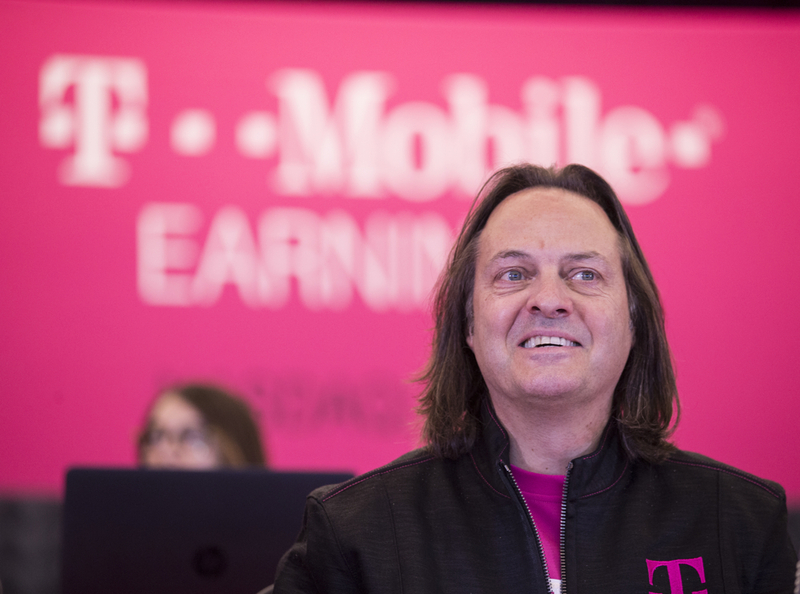 As announced, with Carrier Freedom, starting on May 31 for a limited time, T-Mobile will pay off your phone or early termination fee (ETF) when you finance a new device through T-Mobile. On top of that, again for a limited time, there is no trade-in required at all. For anyone who wants to make the switch, all of this kicks off on May 31. However, the 4 for 3 T-Mobile ONE offer starts tomorrow, May 25. That is open to everyone, not just those making a switch. If you’d like to watch John Legere present all of this info during a Red Bull-induced excitement rage, watch below.